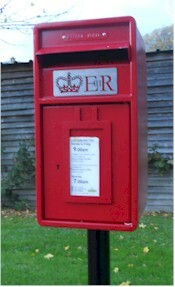 Sadly the old George V postbox in Back Ends has been removed and a new Elizabeth II one put in its place. We do hope the old postbox has been saved somewhere. 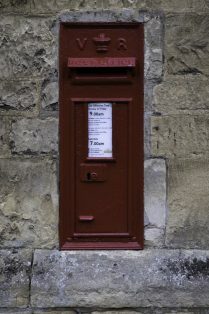 But what about the other postboxes in Campden? 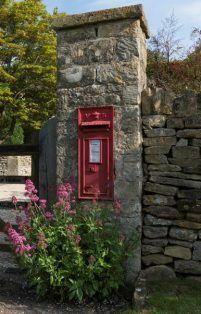 The earliest post box in Campden in the wall of St. Catharine’s School. 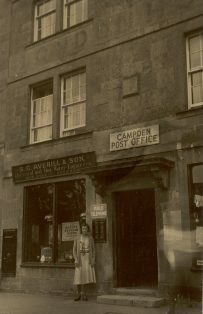 The earliest post box in Campden was installed, according to the Evesham Journal, in the wall of St. Catharine’s School in 1895. By 1891 Julius Neve was running the Post Office in London House. 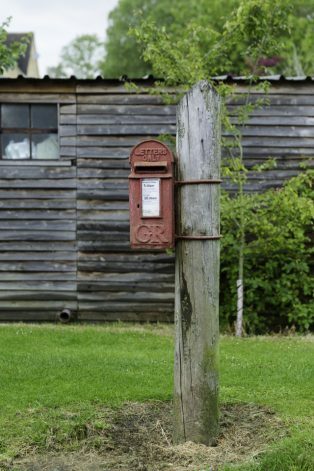 The post box was not installed until the 1930s and is no longer there. In 1967 the Post Office moved to Elsley’s across the road. In 2016 it moved again to ‘Dandelion’ in The Old Police Station. 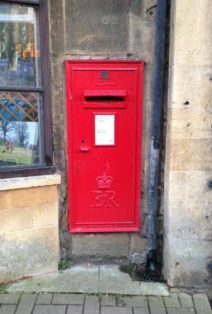 There are no pillar boxes in Campden – the post boxes are all set in walls or fixed to posts. 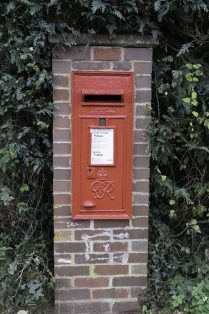 Is it only towns that have pillarboxes? 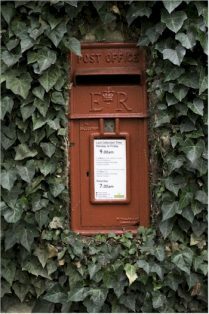 More information about postboxes and pillar boxes and their historical context.